Tweet from reporter Britt Hume. Lizzie's Texas Bar Registration form. She's cooked, like a Thanksgiving Turkey. I will have a few beers and post nonsense. Please oh please let that be real. It may hurt her if she truly seeks the D’s nomination as a real brown will use it against her during primary debates but it’s not like she’s going to have to pay back Harvard millions in pay for misrepresenting herself. We live in a world now where you are what you think you are. Hell, it may even help her amongst the gender/racial identity confused people. Trump certainly cares. If Lizzie gets the nomination, Trump will pound her into the ground over this fraud. All these clowns throwing their hats into the ring are just doing it to fill their coffers. Then they'll exit stage left. Story is gaining traction. Other demonrats will torpedo this idiot to run a black female anyway. Could be used for grounds for disbarment? Should be grounds to put her in jail. Not a chance of that happening. The Bar is populated by liberal snakes. Occasionally they eat their own tails but usually not intentionally. "The following information is for statistical purposes only and will not be disclosed to any person or organization without the express written consent of the attorney". is truly a scammer at work. You... you mean... (*gasp*) someone LEAKED the information??!! Other leftists want her out of the way and not sopping up any campaign $$$ they could get for themselves. Sure the left hates us but what they do to each other is spectacular! Here is another example of leftists attacking their own. This time it's Polynesian Barbie. Leave it to NBC to attack the only democrat with an iota of sanity. ------- Gabbard is a Democrat that is not FULLY in Lock-Step with the socialist machine. This smear was a warning shot. I saw another article earlier this morning, but can't find it now, stating that the Washington Post obtained a copy of the document with an "open documents" filing. So apparently, not a leak. RNC files grievance against Lizzie Forked Tongue. I identify as an African American conservative liberal, transgender lesbian, Navaho Mexican from Germany. Yes, some call me crazy, some call me crazy horse and ladies who know me call me hung like horse. But most of all I identify as Santa Clause. Elect me and I will give everyone, everything they have ever dreamed of and more. Once elected I will identify as a lying scumbag politician that will renege on every promise I ever made to everyone. If I lose my confession speech will be congratulations, you elected a lying politician that will renege on every promise they ever made. Feel free to send donations to my cigarloverfoundation. Am also available to give speeches at 250k an hr. Don't be appropriating my culture, CL. IF she was a republican the democrats would be rioting for her to resign from the Senate. They got Al Franken themselves and are all knotted up in Virginia. Warren is icing on the cake. Beto the fake Mexican will be entering the race by the end of this month, with Oprah's blessing and unlimited funds (Billionaire FIL and Mexican drug cartels). Once elected I will identify as a lying scumbag politician that will renege on every promise I ever made to everyone. Are you also known as "Tonto Goldstein"? But will you go in blackface? 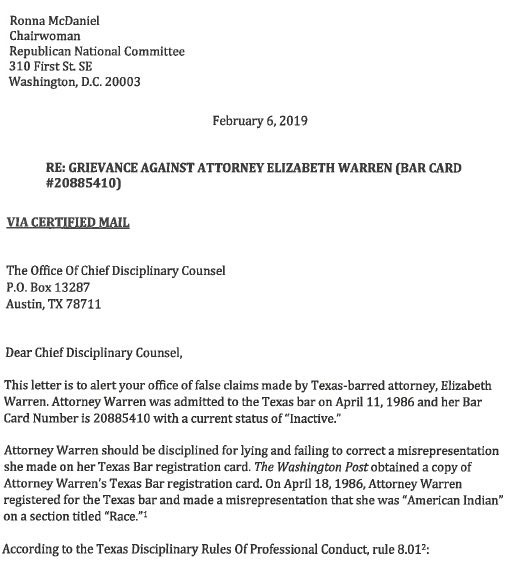 “I have been warned by @instagram and cannot operate my account because I posted an image of Elizabeth Warren’s Bar of Texas registration form via @washingtonpost,” she wrote. “I’m warned that I am “harassing,” “bullying,” and “blackmailing” her” . 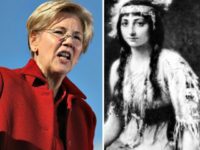 - Republican Party National Spokesperson Kayleigh McEnany tweeted on Wednesday that Facebook-owned platform Instagram threatened to disable her account after removing an image of Sen. Elizabeth Warren (D-Mass. 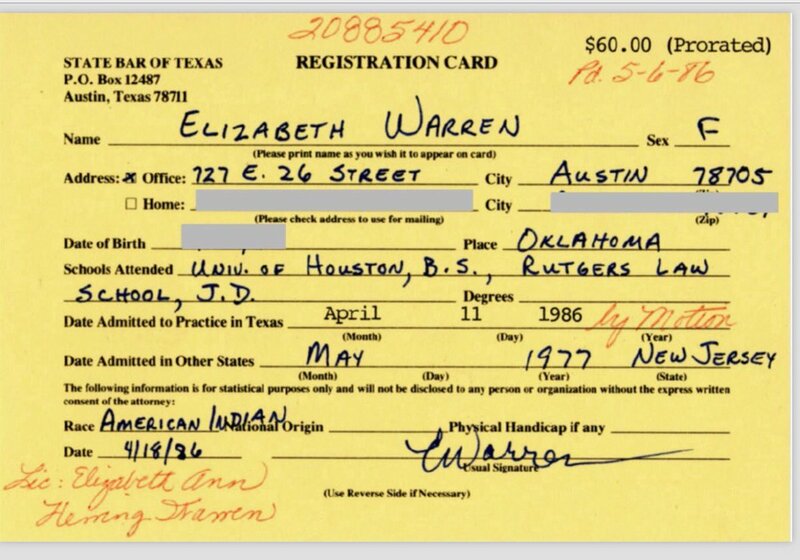 )’s old Texas state bar registration card in which she claims Native American heritage.